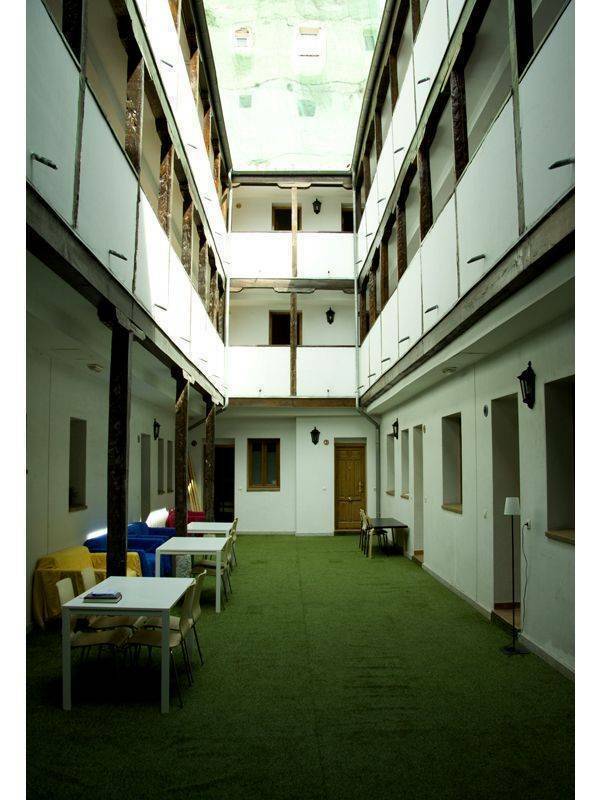 The Living Roof Hostel Madrid is located in a 15th century beautiful madrilian house which was fully refurbished in 2005. Our house is a "corrala" a typical building in old Madrid, with apartments overhang a central patio. 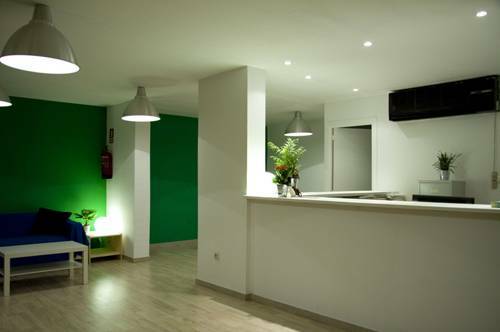 The Hostel is located in the centre of town, in Malasana square only a few minutes walk to the most well known museums in Spain, the prettiest squares of the city and in one of the most popular parties’ areas in the world. 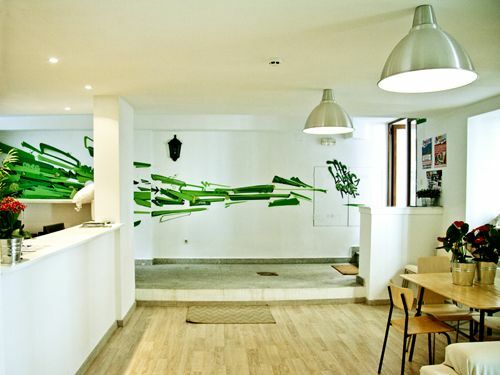 We're located in the centre of town in the Malasaña neighborhood, one of the best places to going out in Europe. We're near the main tourist attractions points, Puerta del Sol, the Prado Museum, Cibeles square, The Royal Palace, Templo de Debod, Chueca, etc. Take line 8 on the metro from T1-T2-T3 or T4 to Nuevos Ministerios. Transfer there to Line 10, going in the direction of Puerta del Sol. Get off at Tribunal metro station. Walk down Calle de la Palma (in front of Tribunal metro station). Costanilla de San Vicente is the fifth street on the left. 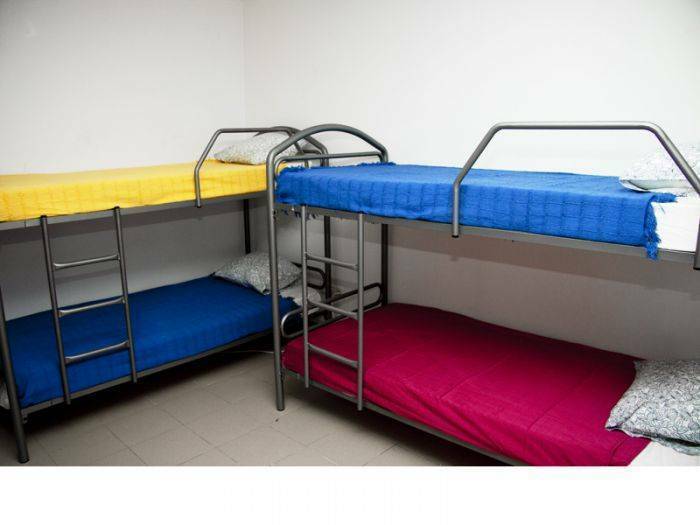 We have available spacious shared rooms, from 4 beds to 10 (bunk beds). All rooms are provided with personal locker. 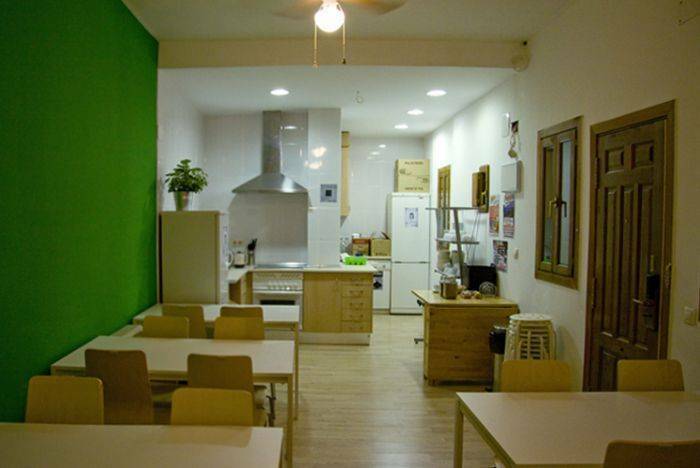 The Hostel is located in the centre of town, in Malasana square only a few minutes walk to the most well known museums in Spain, the prettiest squares of the city and in one of the most popular parties’ areas in the world. We have a 48hr cancellation policy. Cancellations are only accepted via email. Late cancellations and no-shows shall be charged the equivalent of the first night's accommodation. Payment is due upon arrival by cash or credit card. Please note there is a small service charge of 0.50€ for payments by credit card. Our adress: C/ Costanilla de San Vicente 4. Walk down Calle de la Palma (in front of Tribunal metro station). Costanilla de San Vicente is the fifth street on the left.